Enjoy Gorgeous Hiland Mtn Views! Light & Bright w/Southern Exposure & New Paint Throughout. 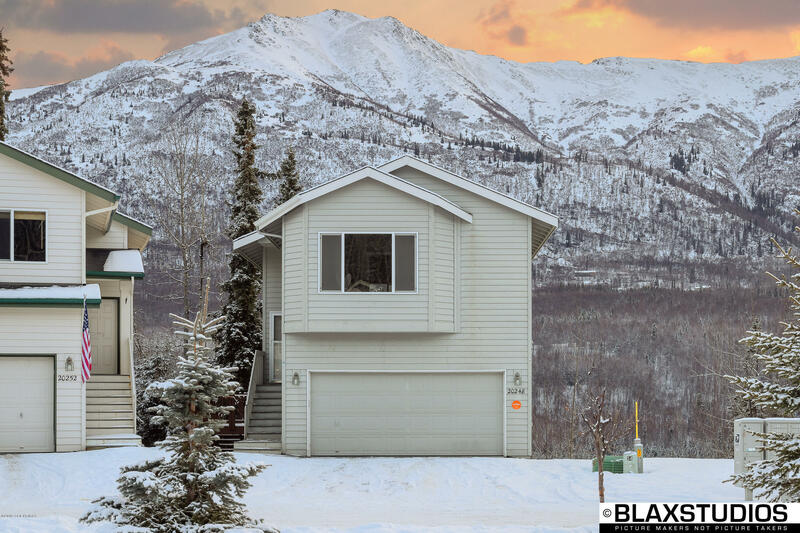 Upper Level Boasts Open Kitchen/Dining/Living Area w/Vaulted Ceiling, Cozy Gas FP, Sliding Door to BBQ Grilling Deck; Lg Master w/Walk In Closet & Chugach Mtn Views; Laundry Rm. Mid Level Family Rm w/Walk Out Deck to Yard. Lower Level Rec Rm. Large Crawlspace & Under Stair Storage. Fun Yard for Kids!